‘I knew about humans. Sometimes they liked to offer things to you and then, when you plucked up the courage to inch closer, would grab you and take you and put you in a cage. Oh, yes, I knew all about that. I shrank back against sacks piled around me and hissed. The man laughed and bent down. ‘Don’t be scared, little feller,’ he said. ‘Don’t be frightened.’ And then he reached all the way and just as I tensed, petrified, he smoothed his huge human hand all the way down my back, like the lady in the big house by the jetty used to do. 1948. The docks of Hong Kong. Where a young orphaned kitten, bereft, scared and alone, is doing his best to survive. It’s a hard, frightening life, and his hunting skills are minimal, so when befriended by a young sailor from one of the ships docked in Victoria Harbour, he eventually trusts him enough to take food from him. But it seems the sailor, who is missing his own cat back in England, is after more than just a temporary friend. He names the kitten Simon, and when his ship, HMS Amethyst, is ready to sail, he decides to smuggle him onboard. So begin the adventures of Able Seacat Simon, a stray kitten from the naval base of Stonecutters Island, who narrates the story of his new life at sea. 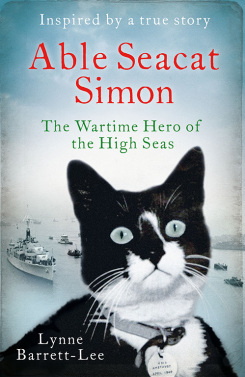 Adopted as official ship’s cat aboard the naval Frigate, HMS Amethyst, Simon – so named by the ordinary seaman who found him – soon settles down to the seafaring life. Becoming well fed and sleek he soon hones his rat-catching skills, and, once he’s won round the captain (and wheedled his way into his cabin) enjoys a life regularly punctuated by strokes and sardines, from the sailors who, far away from loved ones at home, find his presence such a joy. Able Seacat Simon is the only cat to have been awarded the Dickin Medal; the PSDA’s ‘Victoria Cross’ for ‘our non-speaking friends’ who’ve shown exemplary courage and devotion to duty. Thought to be fatally wounded in a battle that ended the life of his beloved captain, Simon not only survived his injuries, but returned to his duties, guarding the ship’s fast dwindling stores from an ever increasing rat population, and providing solace to the many injured sailors. He also went on to be decorated twice, was the recipient of thousands of messages and gifts and became, arguably, the world’s most famous cat. "To discover a new author is one of the joys still to be found in life, and that is exactly what I’ve just done having finished this new book by the very talented Ms Barrett-Lee… If you’ve seen the film ‘The Yangtse Incident’, then you’ll find this an invaluable companion. I can’t recall having read a book before that was written from the pov of an animal, but if this is the quality of Lynne Barrett-Lee’s writing, she could have a cockroach (no disrespect meant to any cockroachs – alive or dead – reading this review) as the protagonist, and she’d have me sold"
"Lynne Barrett Lee evokes the war and the fate of the Amethyst in a way I’ve not seen before and it was a joy yet a heart-breaking one at that to read." 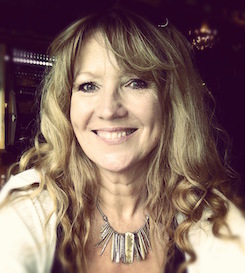 " His amazing exploits, and his morale-boosting friendship with a mainly young crew, are brought to vivid life in Lynne Barrett-Lee’s revealing and affectionate ‘cat’s eye’ view of events that had a nation on the edge of its seats and created an unexpected international celebrity. .. this moving and inspiring tribute to the men of the Amethyst and their loyal feline friend." "We absolutely loved the book! The author did a brilliant job at combining true events with fiction to create a unique story! " "A must for Michael Morpurgo fans! " "This incredible true story reads like a fairy tale. Despite dealing with quite technical naval material, Barrett-Lee has made it very accessible by telling it from Simon's point of view. There is also a very helpful glossary of terms at the back. This heart-warming tale will make readers laugh and cry. A must for animal lovers."